Can Energy Healing Help Improve Your Wellness? 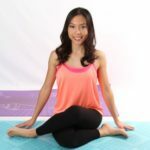 Eve Sengkeo works in Corporate America by day and teaches yoga and Reiki by night! As a freelance writer, she loves to get real about her setbacks, comebacks, and all the lessons learned in between.